How Can Barbiturate Rehabilitation Facilities Help? 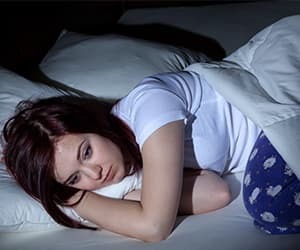 Barbiturates are sedative-hypnotic drugs that, historically, have been prescribed to induce sleep, reduce anxiety, control seizures, and anesthetize. Their medical utility has decreased as newer medications have been found more effective, but barbiturates continue to be used in specific neurologic situations. Despite their wane in popularity, the misuse of barbiturates persists due to their addictive, mood-altering and sedative effects. People who use barbiturates are at risk for developing physical and psychological dependence on them. Even those who take barbiturates as prescribed can become dependent, particularly after prolonged use. In dependent individuals, detox and withdrawal after a period of barbiturate abuse can present life-threatening complications and should be carefully monitored by a medical professional. Who Answers? can discuss your concerns with you. Barbiturates have a very high risk of misuse, addiction and unintentional overdose. Misuse of these central nervous system depressants can cause impaired daily functioning and toxicity. Barbiturates slow, and can even stop, vital life functions. Consequently, barbiturate dosing must be carefully medically monitored to prevent overdose. With illicit or recreational use, these risks increase. Lack of medical supervision, the tendency to take progressively increasing amounts, and the combination of barbiturates with other substances such as alcohol all contribute to negative outcomes in nonmedical use. Because of their relatively quick onset of intoxicating effects, the risk of misuse and addiction is potentially greater with the faster-acting variety of barbiturates. Time-release barbiturates, however, can cause unintentional overdoses when abused because users may ingest more of the drug in an attempt to enhance the immediate effects. Even at low doses, barbiturates can have powerful depressant effects. At higher doses, or after prolonged periods of abuse, more chronic and serious effects can occur. What Happens If Someone Stops Taking These Drugs? Acute barbiturate withdrawal can involve distressing, life-threatening health risks. Withdrawal should be medically supervised to ensure safety. On average, withdrawal symptoms will manifest within 8-16 hours after decreasing or stopping use. If you or someone you know needs to stop barbiturate abuse, medical supervision for withdrawal is vital. You can call 1-888-319-2606 Who Answers? to speak with an advisor who understands your situation and can guide you through the admission process to a barbiturate detox and rehab center. Medically supervised detoxification to minimize discomfort and ensure safety. Treatment of any co-occurring physical or mental conditions. Cognitive behavioral therapy to focus on expectations, minimize unhealthy thinking and introduce coping skills for stressful events. Supportive counseling in individual, group and family sessions. A stay in a rehab center is often the best and safest solution for treatment of barbiturate addiction. This ensures a safe and successful detoxification as well as support throughout the rehab process. Residential, or inpatient, barbiturate rehabilitation programs include around-the-clock care in a comfortable, immersive therapeutic environment. Inpatient treatment typically lasts up to 30 days, although individuals with additional mental or other issues complicating the recovery process may benefit from staying 60 days or more. Upon completion of an inpatient stay at a rehab center, follow up and aftercare support is recommended. This typically involves attending services such as support groups while living in the community. Choosing the appropriate rehab center for you or your loved one can be overwhelming. However, equipping yourself with the right information will help you make an informed choice. Is the clinical staff trained in treating barbiturate addiction? Is withdrawal and detox medically supervised? What does the course of treatment cost? What options are there for financing your treatment stay? What type of setting will best suit your needs? Local or non-local? Private or public facility? Mixed or gender specific? Who Answers? now for help clarifying your needs and finding suitable options for you or a loved one. The advisor will help you sort through the information and guide you through your decision process. There is a great deal of hope and recovery is possible! You can begin recovery from barbiturate addiction now by giving us a call to find recovery centers appropriate for your needs and preferences.
. Sellers, E. M. (1988). Alcohol, barbiturate and benzodiazepine withdrawal syndromes: clinical management. Canadian Medical Association Journal, 139. 113-118.